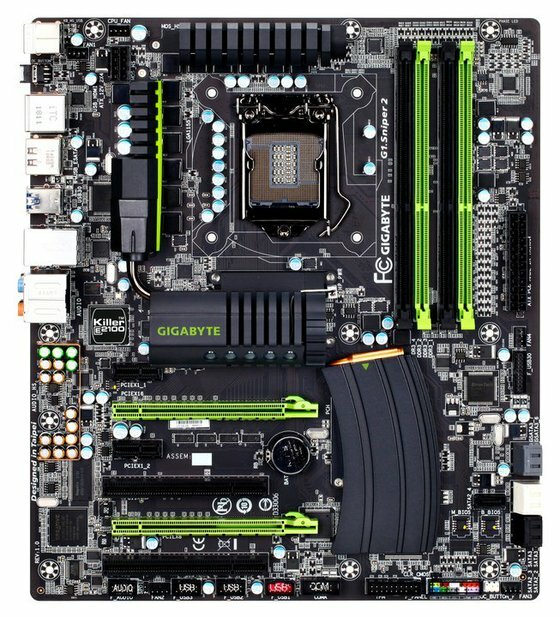 Gigabyte revealed some photos of its upcoming Z68 based G1.Sniper 2 motherboard, you can check it out at VR Zone. Pictures of the final board appeared on Gigabyte's motherboard divisions facebook page literally minutes ago and although these pictures might not be super-high resolution, they're still good enough for us to get a good idea of what's coming. One minor change we noticed was the addition of a copper shield around the audio capacitors, something that wasn't present on boards shown at Computex. Gigabyte has also made what appear to be some minor cosmetic changes, like removing the writing on the chipset heatsink, which by the way had the wrong model name on it anyhow. The rear I/O has changed slightly with the eSATA port being turned into an eSATAp (powered eSATA/USB combo) port.